I am so excited to bring you this post. I saw these on a YouTube video and ordered 2 from eBay straight away! They aren't available in Australia yet (uggghhh we always have to wait months later!) and I couldn't wait until they were released here, so it was eBay to the rescue! They are super cool. When you touch the blush it does actually bounce. It feels almost like play dough or a dry ink pad. It is a creamy powdered consistency that glides on really easily. Even though in the pot it looks really bright, it does on quite sheer unless you build it up. 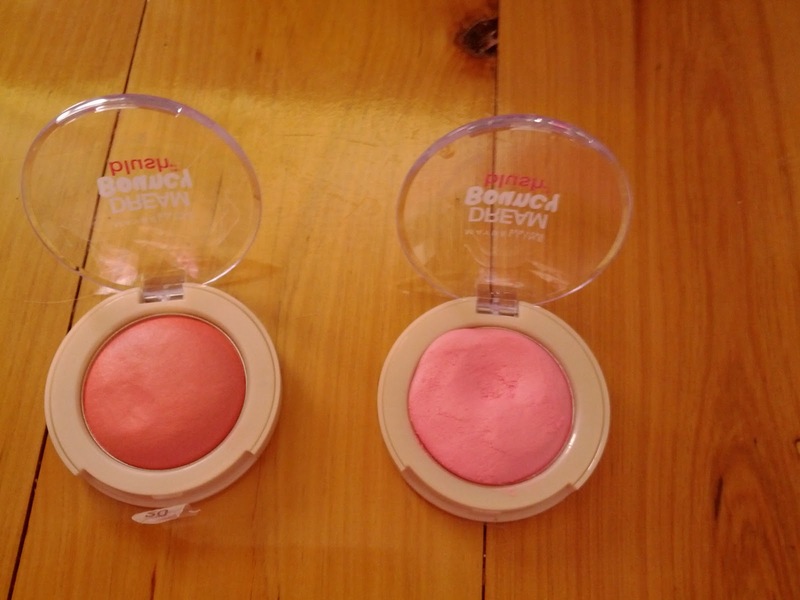 The two colours i got were Peach Satin (20) and Fresh Pink (05). 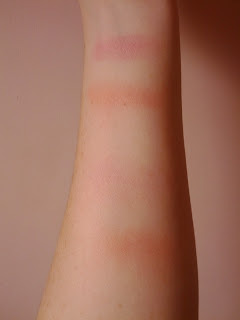 I normally just use my fingers to apply, since it is easier to buff into the skin. They currently they have 10 colours. They retail for $8 in the US so I'm expecting them to be close to double that when they are released here. I really love these. Even though it is just the "bounce factor" that made me buy it, I love the long lasting formula, the colour and how easy it is to build up the perfect colour. I'm looking at ordering a coral and a plum colour soon! they look awesome! would definitely be interested in trying these out! 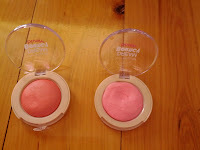 They look really nice, I am in need of some new blush! Might get on to ebay! They look great, will definitely try them out when they get here! These look amazing, I want some!